Are you tired of toast and cereal, and looking for new breakfast ideas? 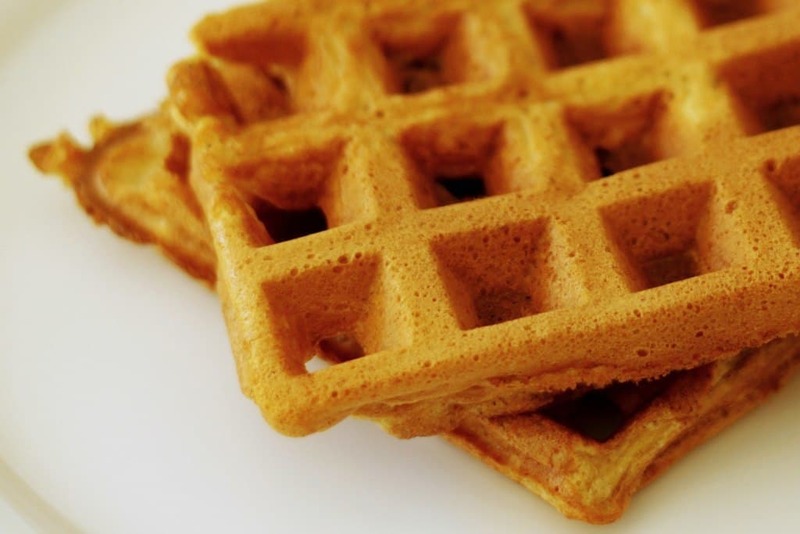 This tasty waffle recipe is made with flour, milk, eggs, and other typical waffle ingredients. We are dividing the batter in two and adding vanilla to one half and matcha green tea powder to the other, so each waffle will be half vanilla and half matcha. You could even divide it into three and use vanilla, matcha green tea and cocoa powder for tricolour waffles if you wanted to get really creative. These waffles are best served hot straight from the waffle iron. Add some whipped cream if you want and perhaps some berries or chopped soft fruit, such as peach or pineapple, to add nutrients to the plate. Adding matcha green tea powder to waffles is an unusual idea but you will discover the aromatic, distinctive flavour goes really nicely with the soft, sweet waffles. This recipe serves two. Combine the flour with the baking powder, sugar and salt in a bowl. Whisk the milk with the eggs in another bowl. Now pour the egg mixture into the flour mixture and whisk to combine, without over-mixing. Stir in the melted butter. Now divide the batter between 2 bowls, and mix the matcha green tea powder into one and the vanilla extract into the other. Preheat your waffle iron and cook the waffles for a couple of minutes or until done. It is best to pour half the vanilla mixture into one side and half the matcha green tea mixture into the other side, so you get two-tone waffles, else you could just make them separately.